Who are our international students? What are some of the challenges they face studying in the U.S.? How can we best serve them? Dr. Camila Alire responds to these questions; shares other thoughts about/experiences with international students; the footprints they leave; and why we should care. The University of Iowa Libraries has invited Dr. Camila Alire to give the Ada Stoflet lecture on Wednesday, October 15, 2014 at 3:00 p.m. in the Old Capitol Senate Chamber. A reception in the rotunda immediately follows the presentation. 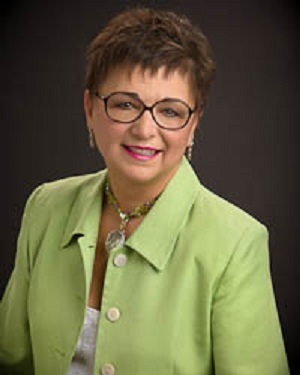 Dr. Camila Alire is the past-president of the American Library Association and Dean Emerita at the University of New Mexico and Colorado State University. Camila received her doctorate in Educational Leadership from the University of Northern Colorado and an MLS from the University of Denver. The Ada M. Stoflet Lectureship is established in memory of Ada M. Stoflet, an exceptionally skilled and dedicated member of the University of Iowa Libraries staff for three decades. The lecture is presented on a topic of interest in the field of librarianship. Dr. Alire maintains an outstanding record of professional service. She is also past-president the Association of College & Research Libraries (ACRL 2006), and as REFORMA past-president (1994). Alire served on the Association of Research Libraries (ARL) board and chaired several committees. She speaks and consults internationally on leadership development, academic library trends, strategic planning as well as on the other topics. Dr. Alire was honored with the following recognitions: the ALA/Lippincott Award for Distinguished Service; the Chinese American Librarians Association (CALA) Presidential Recognition Award, and the ALA Achievement in Library Diversity Research Award. She was awarded the first ALA Elizabeth Futas’ Catalyst for Change award and National REFORMA’s Librarian of the Year award. One year, she was named by Hispanic Business Magazine as one of the 100 most influential Hispanics in the country. Alire was recently appointed by U.S. President Barrack Obama to serve on the National Council on the Humanities. September 17, 2014 marks the 227th anniversary of the signing of the United States Constitution. In honor of this occasion, at 12:20pm in front of the Old Capitol, U.S. Army Cadets will be doing a reading of the U.S. Constitution, with a rain location of the Hubbard Commons located inside of the IMU. With thanks to United States Representative Dave Loebsack, free pocket-sized copies of the U.S. Constitution will be available while supplies last on September 17 at the following locations: the Main Library Service Desk near the East entrance, Java House 211 E. Washington St., and T-Spoons Coffee Shop, located on the first floor of the University Capitol Center. Each fall the University of Iowa Libraries organizes events to spread awareness of open access and related issues regarding publishing and the free availability of information. Our first event this year is a panel discussion on the topic of “Open Access and the Public Good,” during which Professor Russell Ganim (Division of World Languages, Literatures, and Cultures) will moderate a conversation between the Honorable James Leach (Law), Professor Christina Bohannan (Law), and Professor Bernd Fritzsch (Biology). Among the topics will be how research in the Humanities and Sciences is financed and conducted and who has the right to access its results. This panel discussion will occur Friday, September 26th at 2 pm in the Old Capitol Senate Chamber. This event is free and open to the public, and we hope you’ll come join the conversation about open access. To learn more about open access at the University of Iowa, visit http://www.lib.uiowa.edu/openaccess/ and read the University Libraries’ Scholarly Publishing blog, Transitions. And our second event is a Free Screening of THE INTERNET’S OWN BOY at FILMSCENE Saturday, September 27th, 2:30 pm, with a Q & A to follow. Complementing the faculty panel discussion on open access that will occur next week, FilmScene will host a free screening of the Aaron Swartz documentary The Internet’s Own Boy on Saturday, September 27th at 2:30 pm, followed by a Q & A with University of Iowa professors Kembrew McLeod (Communications) and Stephen Voyce (English). The film “follows the story of programming prodigy and information activist Aaron Swartz. From Swartz’s help in the development of the basic internet protocol RSS to his co-founding of Reddit, his fingerprints are all over the internet. But it was Swartz’s groundbreaking work in social justice and political organizing combined with his aggressive approach to information access that ensnared him in a two-year legal nightmare. It was a battle that ended with the taking of his own life at the age of 26. . . This film is a personal story about what we lose when we are tone deaf about technology and its relationship to our civil liberties.” The screening is free and open to the public. Stephen Voyce is an Assistant Professor in the English department at the University of Iowa. His recent book, Poetic Community: Avant-Garde Activism and Cold War Culture (University of Toronto Press, Spring 2013), addresses several key poetic groups collaborating after World War II. He is currently working on a book project titled Open Source Culture: Literature, Appropriation, and the Public Domain, which investigates how late-twentieth-century poets, fiction writers, and artists creatively subvert intellectual property law and the regimes that enforce these policies. He is a member of the University of Iowa’s Digital Studio for Public Arts & Humanities and the director of the Fluxus Digital Archive. Nominations are due by Friday, September 26. Please forward this message to faculty and graduate assistants in your department and encourage them to submit nominations. Thank you for your assistance. Carmelita Pickett, collection development officer at Texas A&M University Libraries, has been named associate university librarian for the University of Iowa, effective October 13. 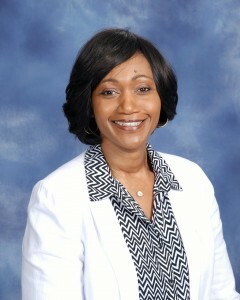 Pickett joined the university libraries at TAMU in 2003 as an Africana studies librarian. In 2009, she became the director of collection development operations and acquisitions services, where she provides leadership to the collection management team with a budget of over $15 million. Responsible for all aspects of the libraries’ collection development strategy, she was instrumental for developing a value statement that is used as an advocacy tool when negotiating with publishers. Her national service includes elected positions in the Association of College and Research Libraries African American Studies Librarians Section and the Association for Library Collections & Technical Services as well as her appointment to the ACRL Dr. E.J. Josey Spectrum Scholar Mentor Committee and as an ALA Spectrum Scholarship Juror. Pickett will succeed Edward Shreeves who had served as associate university librarian for nearly 25 years until his retirement in 2012. Michael Wright has served as interim associate university librarian since Shreeves’ retirement. As associate university librarian, Pickett will be an integral part of the Libraries’ administrative team and provide leadership to a group of subject specialist librarians who represent every discipline at the University of Iowa. The Art Library is again open in Art Building West. Interim hours (Aug 11-22) are 8:30a – 12:00p and 1:00p – 5:00 p M-F (closed Sat and Sun). For more information, please check the library’s website or call (319)335-3089. The University of Iowa Libraries invites faculty, staff, students, and the community to celebrate the annual International Edible Books Festival April 1 by crafting a delicious book to share and, of course, eat. To participate, follow two simple rules: entries must be edible, and they must have something to do with books as shapes and/or content. Edible books will be displayed on April 1 in the Main Library Learning Commons, Group Study Rooms1103 and 1105 in the South Lobby from 3:00-4:30 p.m., followed by a book tasting. Prizes will be awarded in multiple categories including Best Book Structure, Best Literary Allusion, Judge’s Favorite, Audience Favorite, and Best Tasting. Entries will be judged by the Iowa City Press-Citizen’s Michael Knock, University of Iowa Center for the Book’s Emily Martin, and University of Iowa Libraries Special Collections Librarian Colleen Theisen. For more information or to submit an entry, please contact Brett Cloyd via email at brett-cloyd@uiowa.edu or by telephone at (319) 335-5743, and bring your entry to Room 1103 between 2:00-2:45 p.m. on April 1. The International Edible Books Festival is an annual event held on April 1 around the world. The event unites bibliophiles, book artists, and food lovers to celebrate the ingestion of culture and its fulfilling nourishment. Participants create edible books that are exhibited, photographed, and then consumed. Information and inspiration can be found at www.Books2Eat.com.